We recently discovered a new book called Greedy Steve by Lisa McNeill (affiliate). It’s a cute book about a giraffe named Steve who gets himself into some trouble by greedily eating everything his long neck can reach. He ends up learning the valuable lesson to not be greedy and makes a new friend in the process. 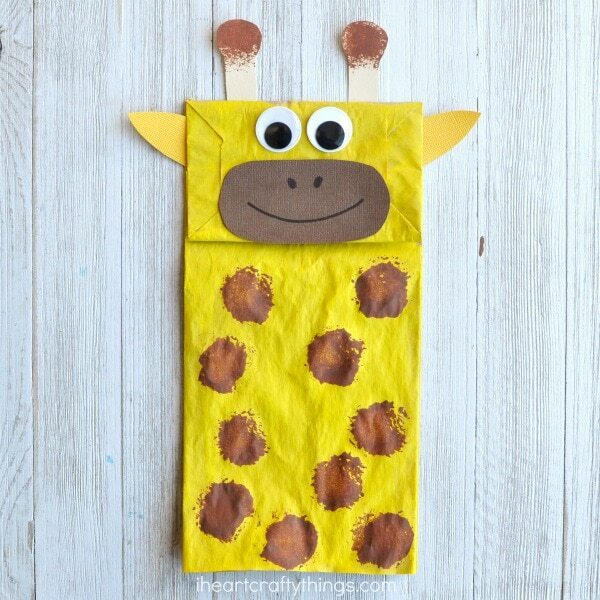 After my daughter and I read the story we made this adorable paper bag giraffe craft inspired by Greedy Steve. 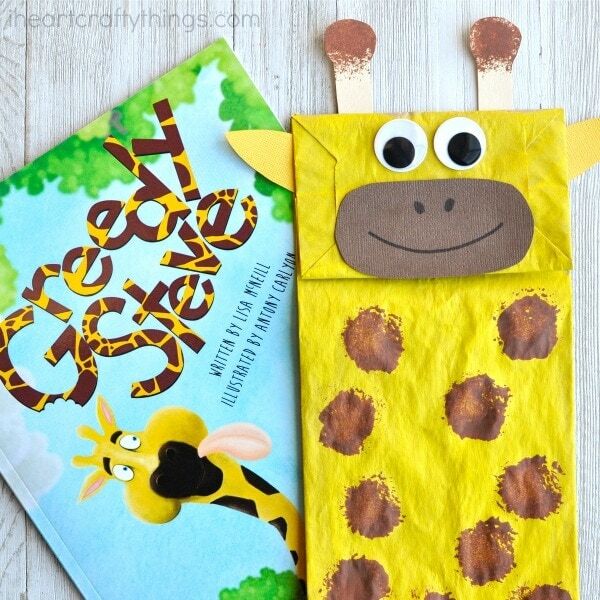 It makes a great book-based craft and kids can use their craft as a puppet and put on their own giraffe puppet show. We received a free copy of Greedy Steve for the purposes of review. Any opinions expressed are mine alone. This post contains affiliate links to the products mentioned. Read our disclosure policy for more information. 1. 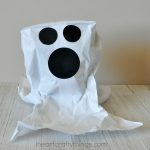 Start by painting the front of your paper bag with your yellow paint. Let the paint dry completely. 2. Pour a small amount of brown paint on your paper plate. Close your clothespin around your large pom-pom to make it a paintbrush. 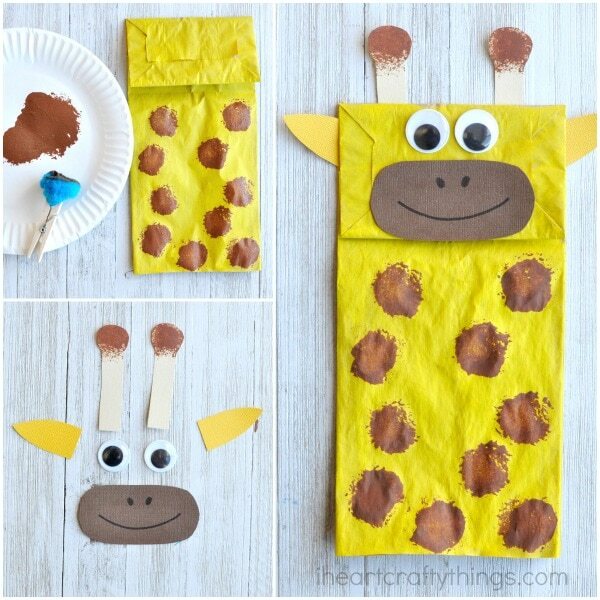 Dab the pom-pom into the brown paint and then press it onto your paper bag to make giraffe spots. 3. 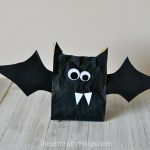 While your paint dries, cut out giraffe ears from your yellow cardstock, horns from your tan cardstock and a muzzle from your brown cardstock. We chose to paint the tips of our horns with our brown paint but that is completely optional. 4. Draw a mouth and nostrils onto your muzzle with your black marker. Then glue it onto your paper bag. 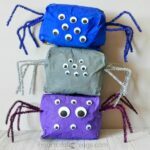 Now finish your paper bag giraffe craft by gluing on your googly eyes, ears and horns. Purchase Greedy Steve on Amazon today! 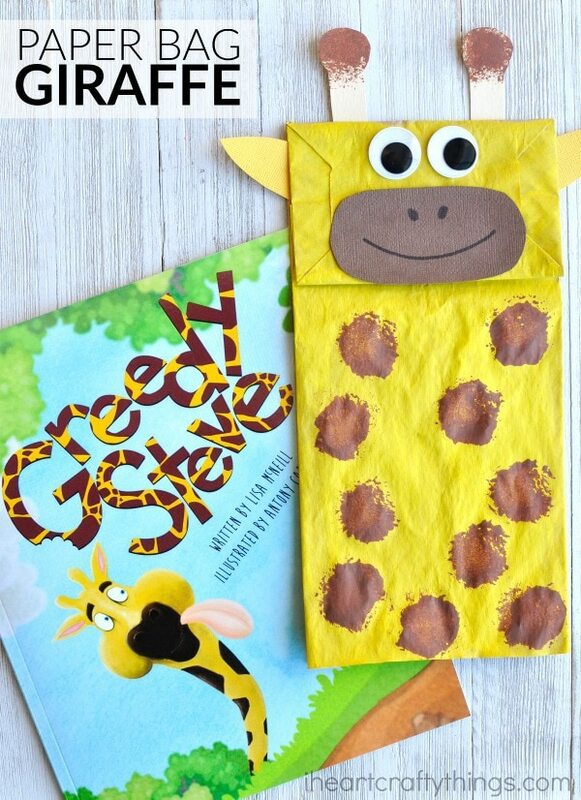 “Greedy Steve is a naughty giraffe with a big appetite. He gets himself into trouble everywhere he goes until eventually he has to ask for help. He soon learns it is best not to be such a Greedy Steve. ” -from Amazon.